So, you've got a 3DS and quickly availed yourself of its relatively new stereoscopic video recording capabilities. The work you've filmed with Nintendo's little gaming handheld will melt faces. But you need an audience. A global audience, bigger than the other 3DS owners who you can already share with. 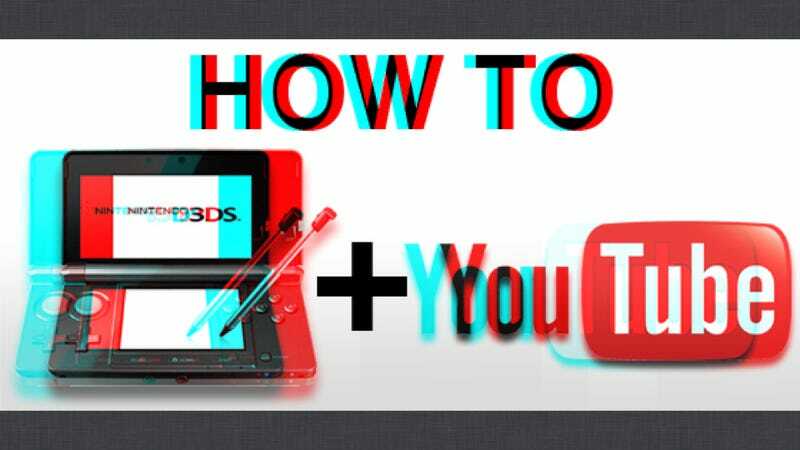 Now, you can find that audience on YouTube, thanks to a detailed how-to guide assembled by the folks at NerdMentality. You can't directly upload video to YouTube from a 3DS and simply grabbing the video from the SD card gives you a file that won't display in 3D. NerdMentality's step-by-step tutorial includes instructions on how to convert and upload the 3D videos for Windows and Mac OS, as well as tips on the correct formats for uploading files to YouTube. The website claims that they're the first to crack this technological riddle, so do check it out if you've got a 3D masterpiece sitting on your 3DS.